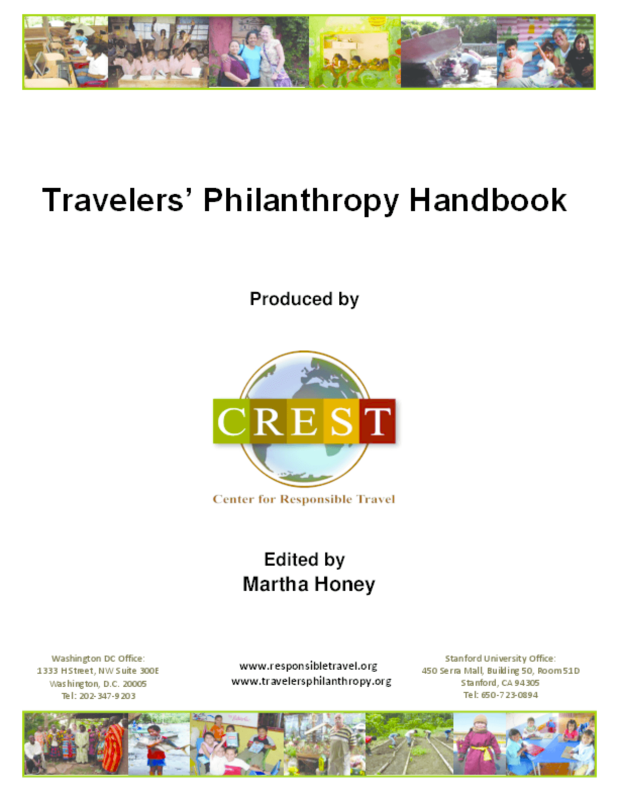 Offers a detailed guide to contributing time, talent, and treasure to local projects beyond what is generated via normal tourism. Profiles various organizations' approaches and best practices for businesses, communities and local groups, and travelers. Copyright 2011 Center for Responsible Travel.